Try going for without food or drink for 18 hours a day, for 30 consecutive days. You'd deserve a proper celebration after that achievement, right? Mayor Sadiq Khan is inviting the city to celebrate Eid — the end of Ramadan — with him at a massive party in Trafalgar Square this weekend. Thousands of people are expected to be at the event, which will focus on the achievements of Muslim women. Celebrate this with performances from female British muslim hip hop Poetic Pilgrimage; and Pearls of Islam, a duo who combine spoken word with rap and Nasheed (singing either acapella or with percussion). Tantalise your tastebuds at the international food market with halal delights like Moroccan tagines, Palestinian mahashi, and Indonesian nasi goreng. Visit the bazaar for clothes, jewellery, Islamic books and other items made from SME and grassroots organisations owned by Muslim women. There will also be henna, a photo exhibition and storytelling at this fun, family-friendly event. 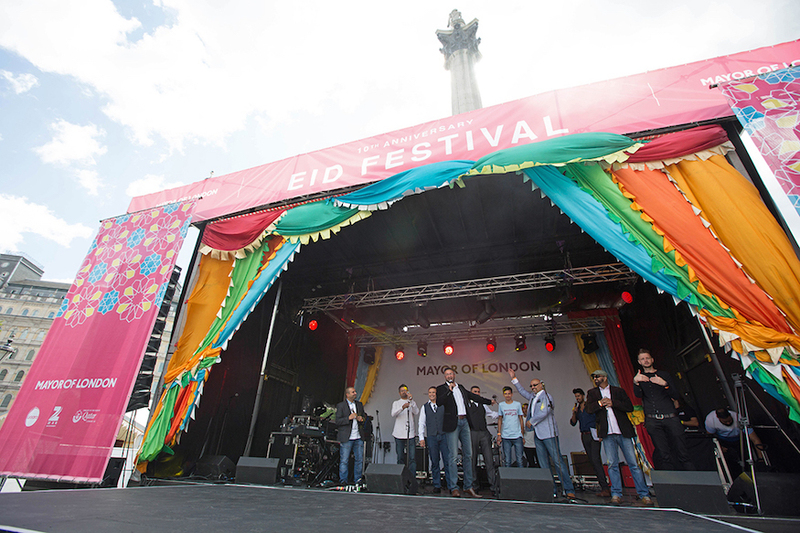 Eid in Trafalgar Square is free and takes place 9 July from noon-6pm. No need to book - just turn up.